For the last 5 years I have run my business without my own branded website specifically for my business. In March this year, I finally realised that I wasn’t going to get round to doing it, neither did I have much interest in learning how to build a website. That’s when I called Denis Hegarty of WSI. We had a brief talk and then I scribbled a few notes and some content pointers on a word document and sent it to Denis along with some graphics that I had previously used for some business cards. Literally, a couple of days later, my website was built and www.oceanwidemarketing.com was born. It was so easy, should have done it years ago. Denis and his team were fast and professional, and were able to accurately interpret my requirements and get the site online fast. Since then we’ve made a few small adjustments which were also done very quickly and easily via a quick telephone conversation or an email request. 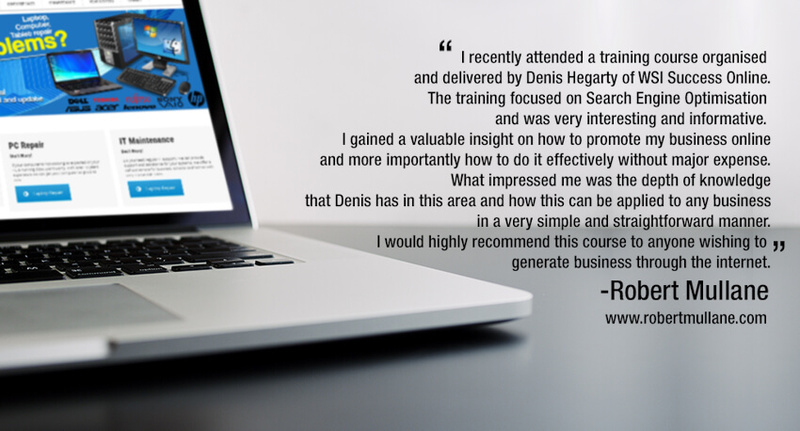 The site will be continually evolving and I am happy to recommend Denis and WSI to anyone who wants a quality website built and maintained by people who know what they are doing and who understand customer service.